Perfect for students at band 4.0 and above, this study guide has EVERYTHING you need to prepare for IELTS Academic or General Training. Understand the test and improve your score with advice, tips and clear explanations. Exercises cover every question type, so you choose what to practise. Develop test-taking strategies with EIGHT official practice tests – the first one with step-by-step guidance. Audio for the listening exercises and practice tests, videos of the Speaking test are on the DVD-ROM. Alternatively download them all with The Official Cambridge Guide to IELTS App. It has explanations of each section of the test and also contains 8 times tests. I have practiced with this book for one month everyday and now I am confident that it helped me a lot. The best point for me was reading section. Before I started practice with this book, I couldn't finish during the 20 minutes for each passage. But now, thanks to this text book, I could pass the test. 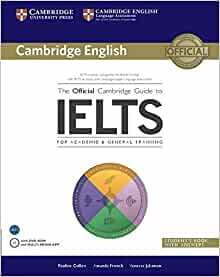 This book is a gem for anyone who already knows English and wants to familiarize themselves with what the IELTS exam looks for,it is loaded with very important tips as you go by,is divided by section to teach you each of the sections separately,has10 practice tests,has answers to check back and see what mistakes you made hence become conscious of those mistakes and comes with a CD for the listening and speaking test,I made a good choice and I passed my IELTS with an overall of 8out of 9 and even got 9 out of 9 in the reading! And I did it all with just this one book.I would recommend this book any day for students who already speak English and are looking to excel. This book is OK. One thing I must mentioned from the onset is; this book is not written to teach you the required English to get your desired band result from IELT. What is does it to tell you exactly the format of the exam. What to expect and how to expect it. It gives very good guide into translating and and explaining what the examiners will looking for from each section of all the modules of the exam. I wan to assure this book does well in explaining that. I needed an IELTS book, so I searched hard. I found a lot of reviews of this book and everybody said this book is really nice. It took a little bit of long time to be arrived since it came from Thailand. I realized that after I ordered but it was ok since it arrived safely anyway. The contents looked great, the CD also arrived safely. The book came in a mint condition. Good purchase. I bought this book 4 months before my IELTS exam. And this was the only study material I used. 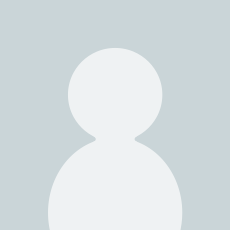 The content is concise and the tips provided in this are valuable. 1. Read all the chapters and understand what kind of questions are asked in the exam in the first 4-5 weeks. 2. Solve the practice tests one each week. I think this took about 8 weeks. The practice tests helped me out a lot, since the actual exam follows the exact same pattern as those given in the book. It gave me confidence for appearing for the test. The accompanying CD was valuable as well - since it contains the audio for listening sections and provides a preview of how the speaking section is handled by students. Along with that, youtube videos are useful for speaking practice. Only negative I can think of is the price - way too expensive for the content provided.